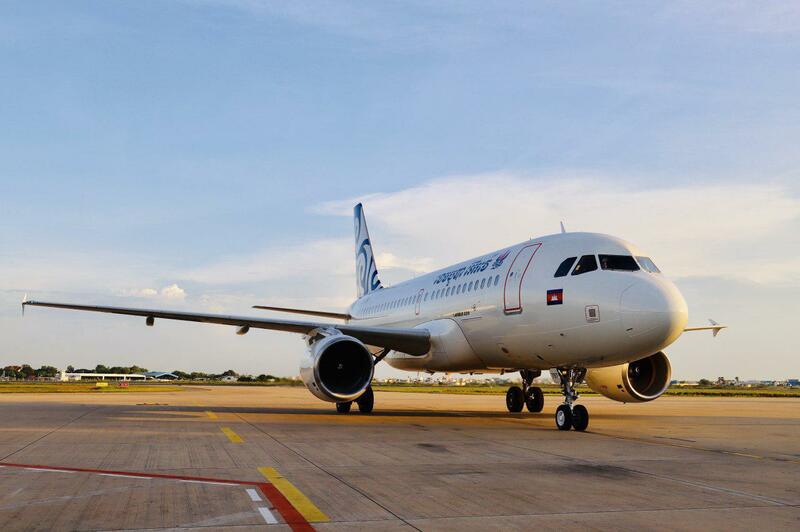 Phnom Penh (FN), April 11 - Congratulation to Cambodia Airways for successfully operated its first flight from Phnom Penh International Airport to Suvarnabhumi Airport, on April 11th 2019. Cambodia Airways now operates one return flights daily on Phnom Penh-Bangkok route using Airbus 319 aircraft with 150 passenger seats. 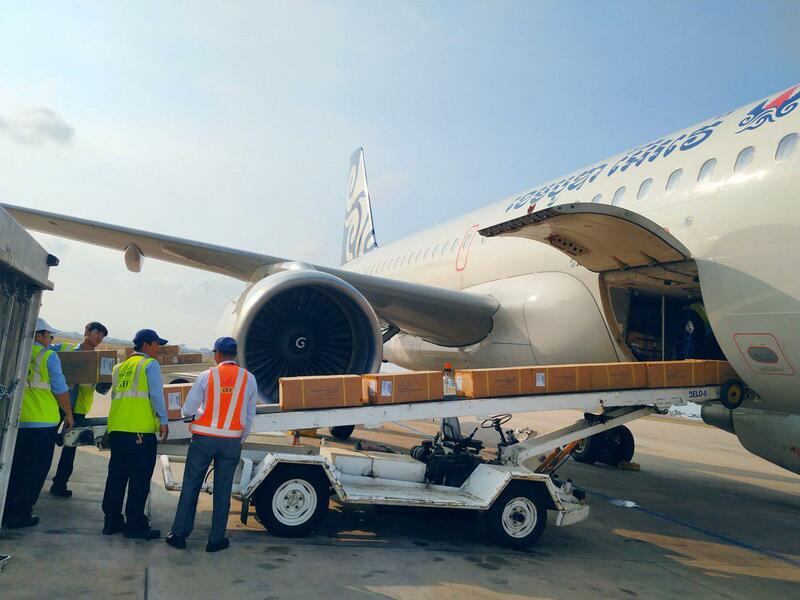 The inaugural flight landed at Suvarnabhumi airport at 19:10 as expected, with about 90% loading of the passengers and 2000kg cargo loaded on board. 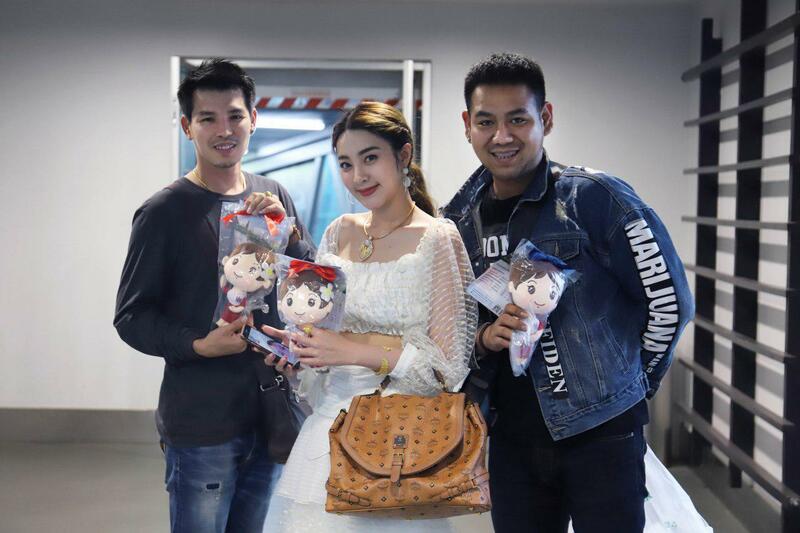 For celebrating this first flight and Khmer new year Cambodia Airways prepared cute dolls at the Phnom Penh International airport to passengers for souvenir. 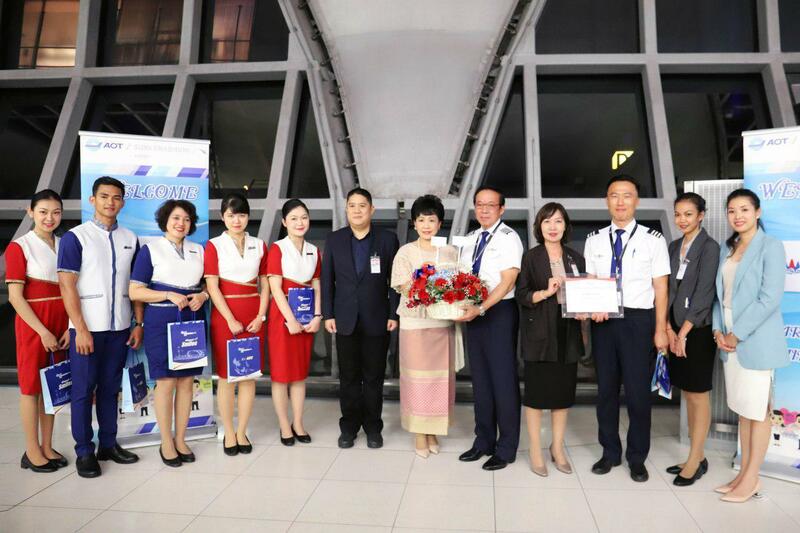 Moreover, to welcome the inaugural flight, Bangkok airport officer had prepared some souvenirs for Cambodia Airways’ passengers, captains and cabin crews as well. "Cambodia Airways is proudly to announce for the successful launching on Phnom Penh-Bangkok route before the Khmer new year. This is our continued commitment to offer our customers more choices on air transportation, our flight is daily operating with convenient timetable for customers, we depart from Phnom Penh International Airport at 18:15 and arrive at Suvarnabhumi Airport at 19:10. And departure from Suvarnabhumi at 20:10 and arrive at Phnom Penh International Airport at 21:35, which is not too early or too late for our customers. Not only the high quality customer service on board, we also provide efficiency cargo service as well. For more details can follow our official Facebook page or check the official website." said Mr. Simon XU, Deputy Director of Commercial of Cambodia Airways. As a friendly neighbour of Cambodia, Bangkok Thailand is one of the preferred destinations for Cambodians. Cambodia Airways always provide high quality service to both passengers and cargo service. 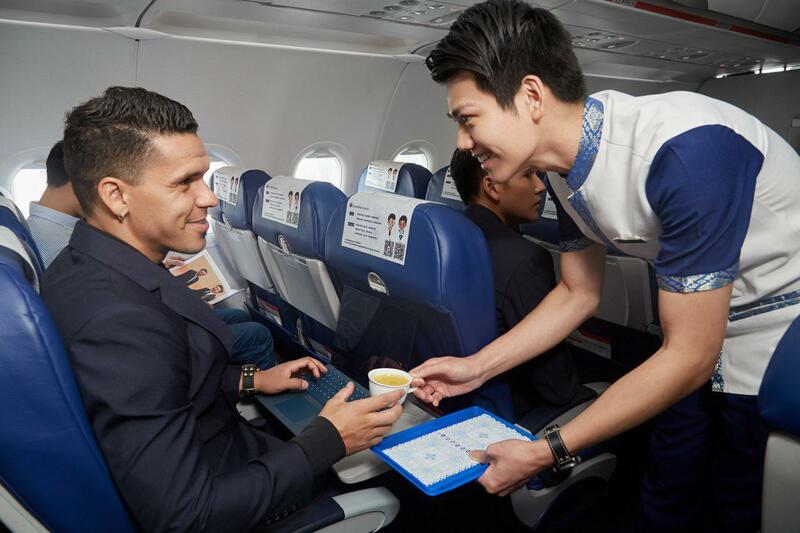 For passengers，Cambodia Airways provide a new passenger service product calls Wingsflex Service，such as priority check in, priority boarding, 10kg extra baggage allowance, priority baggage service (Departure/Arrival) , enjoy extra space and other thoughtful inflight service on board up coming. For cargo service, we provide advance booking via cargo@ cambodia-airways.com to book the service. Cambodia Airways Co., Ltd. is a Cambodian local airlines based in Phnom Penh, Cambodia. Cambodia Airways was established in September 2017, inaugurated the maiden flight from Phnom Penh to Siem Reap on July 10, 2018. 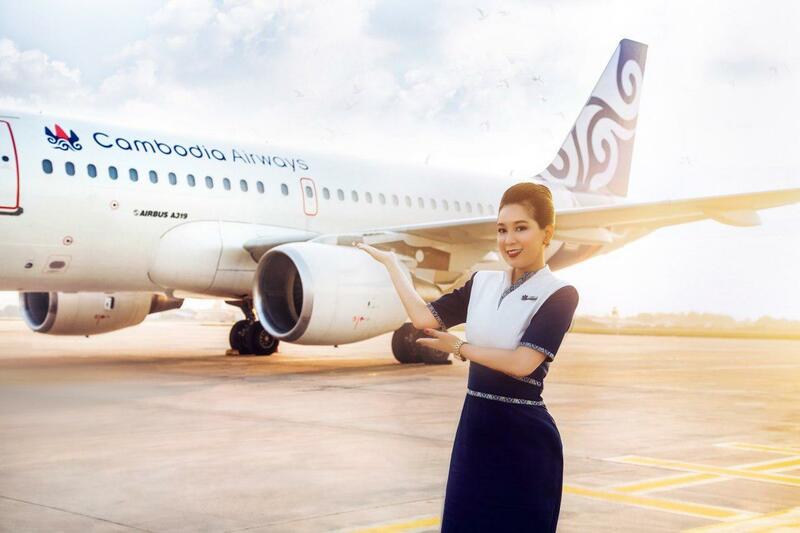 At present, the company operates three Airbus A319 with several domestic and international round-trip routes to Phnom Penh, Siem Reap, Sihanoukville, Macau, Taipei and others. 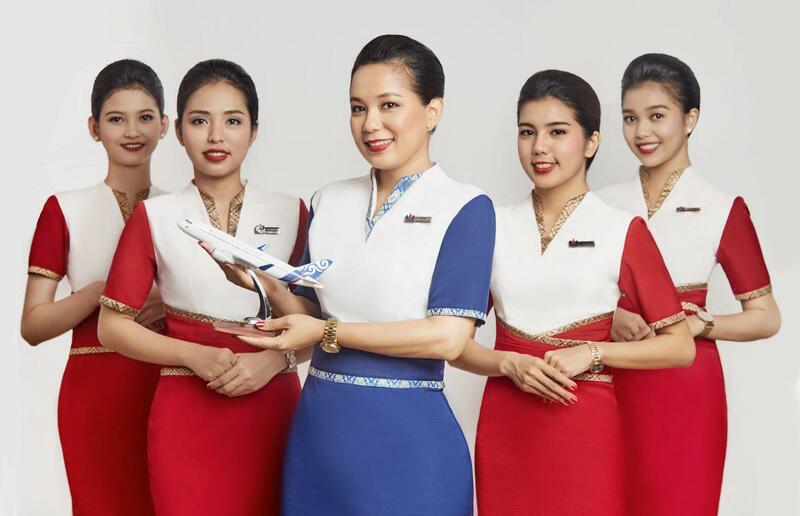 As "the wings of Cambodia", Cambodia Airways will devote to shaping a hub-and-spoke network of routes with Phnom Penh as a hub covering China and ASEAN countries, connecting Northeast Asia, Europe and the United States. Moreover, we have been deeply cultivating the ancient civilization of Cambodia with thousands of years inheritance, transmitting Khmer culture to the world. 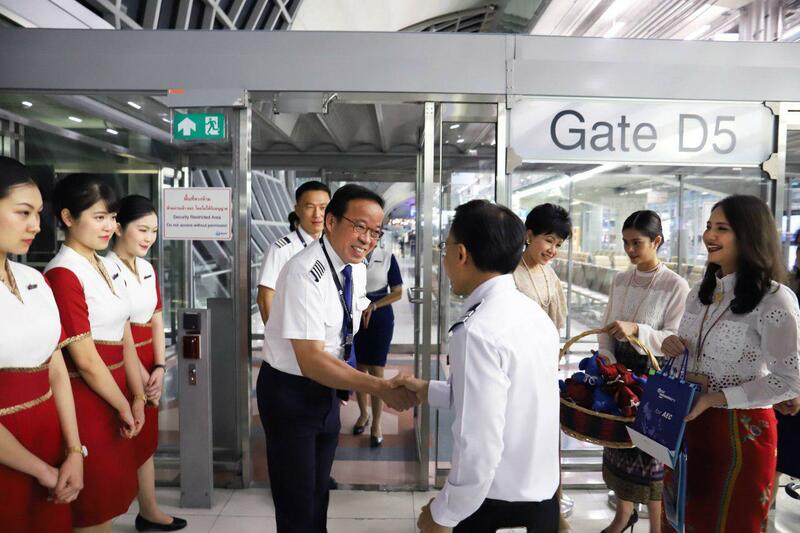 Shouldering the responsibility to promote Cambodia to the world, Cambodia Airways will develop more routes fly to ASEAN countries to build an air bridge connecting the world.